Raven's Tot Jive Me Crazy - class winner, 3rd Best Male. 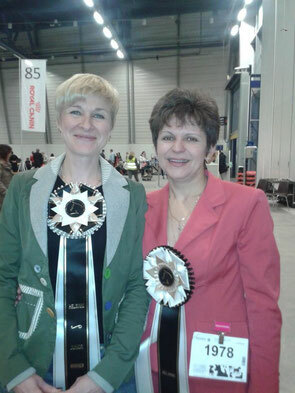 Raven's Tot Keen Sensation - Junior Helsinki Winner 2014!!! 3rd Best Female. Raven's Tot Just Dance - class winner, BOB, CACIB, Helsinki Winner! FIN Ch and shortlisted in a Group!